Don’t forget to email specialoppscode@gmail.com to get the code for this month’s Special Opportunity! As playwrights, directors and actors ourselves, it is our intention to give writers a chance to create their vision from the first stroke of their pen to the last scene of their play! Our festival is designed to offer writers a chance to put their shows onstage instead of placing their creative vision into other hands, as often happens with playwrights. It’s also competition, which means that there are prizes! Best Play will receive a prize of $3,500. Best Actor, Best Actress, Best Director, and Best Singer will each receive $500. Best Musical Score will receive $300. Best Original play, Best Stage Manager, and Best Set Design will each receive $200. Eligibility: Shows from outside NY and NJ can only run if the entire cast and crew are from New York City.30 and 90 minutes long. Categories: All genres are welcome, including MUSICALS. One act plays are welcome but they must be 30 minutes or longer. Fade To Black is Houston's first play festival ever to showcase the new works of African American playwrights! Each year we select the plays of ten finalists from around the U.S. and produced them before a live audience. On the last day of the festival, a grand prize winning playwright (chosen by audience votes) will be announced. Winner receives a cash prize of $100.00! Eligibility: An unproduced, unpublished work by an African American playwright 18 years of age or older. Local Houston directors and actors are encouraged to participate. Twelve one-act plays will be selected to be performed as mainstage productions for the festival’s 26th season, which begins in September; an additional six will be selected for staged readings, to be performed the last two Sundays of August. Each of the 12 playwrights whose plays are selected for mainstage production will receive a $50 honorarium. The playwright who receives the most votes for Outstanding Contribution by a Playwright in the balloting for the Donna Awards will receive $500, to be awarded at the Gala in October. Administered by Pride Film and Plays, the contest seeks stories for stage and screen with lesbian characters or themes, written by women-identified writers. Ten semi-finalists will be selected from all script entries, and five finalists will have their scripts presented as staged readings during LezPlay Weekend. Cash prizes from $100-$400. Fee: $30. Members of the Dramatists Guild are entitled to submit one entry for free. PFP Network Writers can submit one script exempt from the entry fee by using the code PFPWN16 on the payment page. Eligibility: Unproduced plays with lesbian characters or themes by writers who identify as women. Categories: Short or full-length scripts. New England Theatre Conference award to honor the late Aurand Harris for his lifetime dedication to all aspects of professional theatre for young audiences. Two cash prizes will be awarded: First Prize of $1000, and Second Prize of $500. The judges may withhold prizes if in their opinion no play merits the award. A staged reading of the prize-winning scripts may be given, followed by critique and discussion. Eligibility: Full-length plays for young audiences. Plays submitted to the contest must not have been previously published, submitted to NETC’s Gassner Playwriting Contest, or previously produced by a professional or Equity company; workshop productions or staged readings are acceptable. Established in honor of Philip Seymour Hoffman by The American Playwriting Foundation (NYC), The Relentless Award is the largest annual cash prize ($45,000) in American theater awarded to a playwright in recognition of a new play. We are looking for: Plays that are challenging, Plays that exhibit fearlessness, Plays that are not mainstream, Plays that exude passion, Plays that are relentlessly truthful. Eligibility: Unproduced plays by US citizens or permanent residents, 21 years of age or older. One-act plays, musicals and plays for children are not eligible. The American Playwriting Foundation encourages submissions by first time playwrights, women and playwrights of color. Auditions: Spring, New York and Washington D.C.
West Side Story, James and the Giant Peach (TYA), Cinderella, A Fairy’s Tale (TYA). Shows performed in Modern Outdoor Tent Theatre one-hour train from NYC. 13th professional season. NYC transportation provided. No housing (except during tech as needed). ArtHouse (NY, NY) is seeking a full-time marketing associate to handle the day-to-day maintenance, organization and execution of long and short term digital marketing/social media initiatives for our live entertainment clients. Candidates should thrive in a fast-paced and collaborative environment. Eligibility: Must be familiar with and active in mainstream social networking platforms including but not limited to Facebook, Twitter, YouTube, Instagram, Pinterest, and Snapchat; Proficient in Microsoft Office; Interest in / knowledge of theater (a plus but not a must). The award-winning Flea Theater (NY, NY) seeks a highly motivated General Manager with broad-based managerial skills. The General Manager is responsible for overseeing the daily operations of every aspect of the theater and for the logistical coordination of all productions, ensuring all aspects both on and off stage run smoothly. Eligibility: 3+ years of general management and/or finance/administration experience. The P73 Playwriting Fellowship (Brooklyn, NY) provides a year of comprehensive support to one early-career playwright who has not received a professional production in New York City. 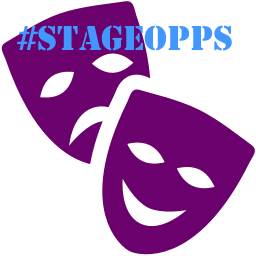 Page 73 serves as producer and advocate, providing support for career development, $10,000 toward the development of one or more new theatrical projects, and a cash stipend of $10,000. Eligibility Restrictions: U.S. residents who have committed to playwriting as a professional goal; have completed at least 2 full-length plays or at least 3 one-acts plays and have a new play in the very early stages of development, or an idea for a new play that would benefit from the resources provided by the fellowship; must not be enrolled in a degree/certificate program during the fellowship year, and must never have received a production of his or her work in New York City that was larger than an Actor’s Equity Showcase Code presentation. The Stage Directors and Choreographers Foundation is accepting applications from emerging directors and choreographers for paid opportunities to observe the work of master directors and choreographers as they create productions on Broadway, Off-Broadway, and at leading regional theaters across the country. Each observer receives a weekly stipend of at least $250 as well as a project travel stipend. Application Fee: $25 from those unaffiliated with SDC. Any observer who is not already a member of SDC will be awarded a free one-year SDC associate membership. The Playwrights’ Center (Minneapolis, MN) awards grants of $25,000 to theatre artists other than playwrights whose work demonstrates exceptional artistic merit and potential and whose primary residence is in the state of Minnesota. Contact: Artistic Programs Administrator Julia Brown at juliab@pwcenter.org. Mid Atlantic Arts Foundation (Baltimore, MD) funds American dance, music, and theatre ensembles and solo artists that have been invited to participate in international festivals outside the U.S. Grants generally range from $1,000-$10,000, and do not exceed $15,000. When: Jul. 15, 2016 – Jul. 14, 2017. Eligibility: Dance, music, or theatre ensembles that work at a professional level and have 501(c)(3) nonprofit organization status or have a fiscal sponsor with such status. A majority of members must be US citizens or permanent residents. Eligible festivals must be sponsored or organized primarily by a non-U.S. based organization; be international in scope with representation from at least two countries outside the host country, or have a U.S. theme with representation from at least three U.S. performing groups; reach a wide audience and be open and marketed to the general public; provide the applicant with a signed letter of invitation or signed contract to perform at the festival; and provide some support to the invited ensembles in the form of cash remuneration, paid travel-related expenses, or in-kind contributions. Arts Midwest (Minneapolis, MN) awards grants between $500-$4,000 to support for the inter-state touring of professional performing artists specializing in the fine arts of dance, theatre, music, youth and family entertainment, and other performing arts forms appropriate throughout Arts Midwest’s nine-state region. Eligibility Restrictions: Open to presenting organizations with government or 501(c)(3) status in Illinois, Indiana, Iowa, Michigan, Minnesota, North Dakota, Ohio, South Dakota, and Wisconsin. Engagements must feature a professional performing artist from outside the applicant’s state, and must include at least one performance that is open and promoted to the general public, at least one in-depth educational activity, and must reach an underserved audience. Fellowships offered by the Dramatists Guild of America (NY, NY) to augment the training of emerging American dramatists and enhance the sense of community amongst them. The nine-month program includes group sessions with theater professionals, one-on-one mentoring, and opportunities to become interns or observers with dramatists involved in professional productions. Eligibility: Applicants will be eligible for the program with any of the following qualifications: 1. Participation in a graduate program in theatrical writing within the last five years; or 2. Participation in an organized theatrical workshop within the last ten years; or 3. Comparable experience, such as one or more professional productions, and a recommendation by a theater professional or theater educator; or 4. Pertinent, documented practical experience. All applicants must be residents of New York or the surrounding metropolitan area for the time of their fellowship. Princess Grace Foundation-USA identifies and assists emerging talent in theater, dance, and film by awarding grants in the form of scholarships, apprenticeships, and fellowships. Dance performance awards take the form of scholarships and fellowships. Choreography awards take the form of fellowships for collaborations with non-profit dance companies. When: Sep. 1, 2016 – Aug. 31, 2017. Eligibility restrictions: U.S. citizen or permanent resident nominated by a school department chair/dean or company artistic director. The Bogliasco Foundation (Bogliasco, IT) supports the Arts and Humanities by providing residential Fellowships at its study center in Italy’s most vibrant, historic crossroads, where gifted artists and scholars of all cultures come together to connect, create and disseminate significant new work. Approximately 50 Fellowships - or residencies – are awarded to artists and scholars in the various disciplines of the Arts and Humanities. Residencies last approximately 30 to 34 days. Eligibility: Those doing both creative and scholarly work in: Archaeology, Architecture, Classics, Dance, Film/Video, History, Landscape Architecture, Literature, Music, Philosophy, Theater, and Visual Arts. Applicants should demonstrate significant achievement in their disciplines, commensurate with their age and experience. Students enrolled in a degree-granting program at the time of the application are ineligible. Art Kibbutz’s Summer Residency offers shared, cooperative multidisciplinary space where artists experience a retreat-style residency just a short ferry ride from the frenetic buzz of New York City. While on Governors Island, artists create new works, develop their practice, and find potential collaborators, while drawing inspiration from community, learning, and our beautiful natural setting. As the only Jewish ​organization currently participating in Governors Island summer activities, Art Kibbutz attracts a unique mix of artists and audience. The residency is open from 6:30AM to 5:30PM daily (closed on Saturdays, 6:30AM to 5:30PM on Sundays). Art Kibbutz does not provide living arrangement for this program. What: One-week residency program for visual artists, writers, poets, composers, performing artists, and environmental researchers who have an affinity for the natural world. The work produced should foster an appreciation of the environment through the aesthetics of art. When: July through September, 2016, and artists can choose to stay from a couple days to a full week, depending on availability. The MacDowell Colony (Peterborough, NH) provides time, space, and an inspiring environment to artists of exceptional talent. A MacDowell Fellowship, or residency, consists of exclusive use of a studio, accommodations, and three prepared meals a day for up to eight weeks. There are no residency fees. Eligibility: Artists working in: architecture, film/video arts, interdisciplinary arts, literature, music composition, theatre, and visual arts. The sole criterion for acceptance is artistic excellence, which the Colony defines in a pluralistic and inclusive way. Artists who are enrolled in any degree program at the date of the application deadline are ineligible. Residencies provided by Stage Left Theatre (Chicago, IL) are designed to help playwrights take a project from the conceptual stage all the way to a production-ready script. Playwrights work closely with one of our ensemble directors and members of the literary team to design a process tailored to the particular needs of their project. Eligibility: We are unable to reconsider projects that have been previously submitted to either our residency or our regular rolling submissions program unless they have undergone major revisions. The Sitka Center for Art and Ecology (Otis, OR) provides artists, writers, musicians, architects and natural science scholars the opportunity to conduct their work in the unique environment of Cascade Head and Salmon River estuary. Up to six residents at a time, usually from different disciplines and stages in their careers, live and work on campus for up to 3 1/2 months free of charge. Located in Central Portugal in the green and friendly village of Lobão da Beira, the ARTErra residency a place where artists can work and develop their projects and exchange culture and ideas. During their stay at ARTErra artists will be hosted in the main house with a fully equipped kitchen at their disposal and rooms of different size (they can accommodate up to 4 people) for individuals or groups. We offer three studios and a recording room to our residents. The studios, surroundend by a big garden, a small animal yard and an orchard, are spacious and bright spaces perfect to do some research and develop your project in a very relax and comfy environment. Eligibility: Artists who work in all disciplines and at any stages of their career. What: International 1-month retreats for creative writers of all types from anywhere in the world to work without disturbance. Eligibility Restrictions: Any creative writer, from any part of the world, who has already published may apply for a Fellowship at Hawthornden.